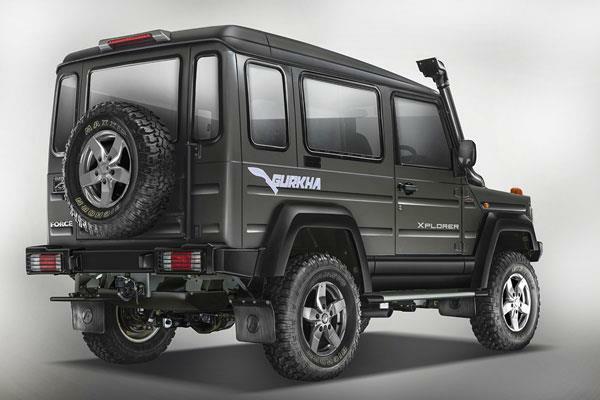 Force Motors has just introduced the Gurkha off-roader in compliance with BS-IV emission regulations in both three and five door body styles. 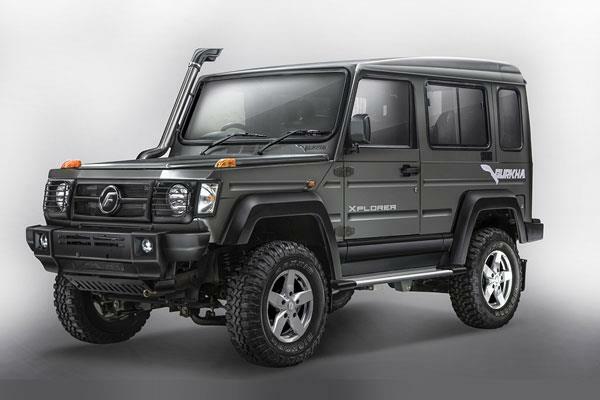 The two variants made available are Xplorer and Xpedition as the new Gurkha carries slight visual updates compared to the outgoing model alongside a slew of mechanical changes. 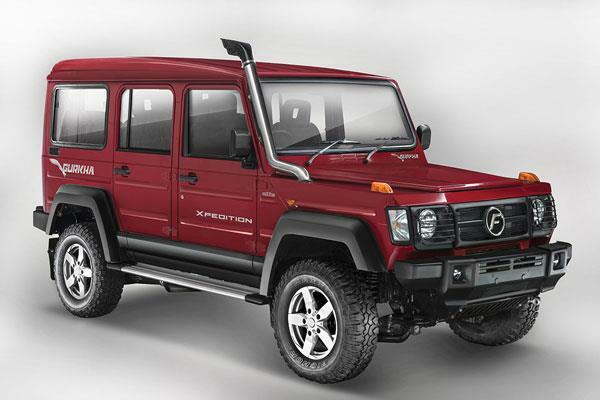 The Gurkha Xpedition is priced at Rs 8.38 lakh and the Xplorer is quoted at Rs. 9.36 lakh (ex-showroom, Delhi). On the outside, the 2017 Force Gurkha gets restyled bumpers up front and rear while the new grille does bring a pleasing appearance to the whole front end. While the overall silhouette remains as before, Force has given all-terrain tyres as standard equipment. 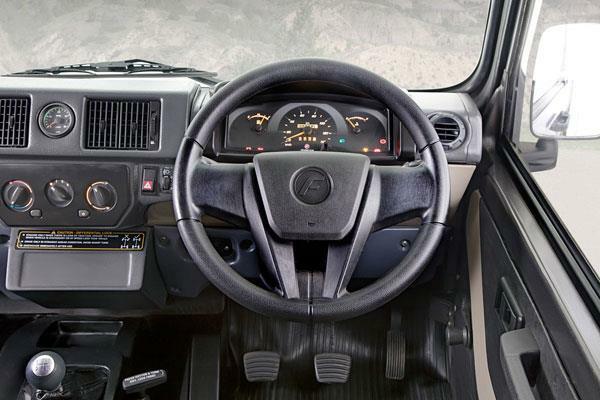 Step inside the cabin, the refreshed Gurkha features newly designed gear shifter, new manual air-con vents and four-spoke steering wheel, and redesigned floor console with extra storage areas. Of the Xplorer and Xpedition variants, the former comes in both three and five door configurations with soft-top roof option while the latter is restricted to a five-door and hard-top version. The three-door model can be optioned as either a hard top or with a fabric soft top with a choice of seating configurations ranging from a four plus driver to a seven plus driver seating arrangement. The five-door model, on the other hand, is available as a hard top only in ether a six- or an eight-seat configuration, excluding the driver. Based on what claims to be a new ladder frame chassis, the 2017 Gurkha is hung on a new suspension setup with gas charged shock absorbers, anti-roll bar and independent struts do the duty up front while a multi link system with gas charged hydraulic shocks and anti-roll bar occupy the rear. It continues to be powered by the 2.6-litre diesel engine tuned to comply with BSIV standards. The Mercedes OM 616 sourced direct-injected turbocharged diesel unit generates a maximum power output of 84 bhp at 3,200 rpm and 230 Nm of peak torque. The oil-burner is paired to a five-speed synchromesh manual transmission. The Gurkha comes with option of a four-wheel drive system as power is sent to the rear wheels in standard model.